Planning a big event? 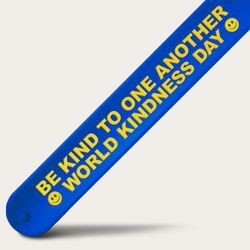 Whatever the occasion, our custom event wristbands are the perfect choice; both for building awareness and for admission on the day. What better way is there to promote your event than with our amazing event bracelets? These can help build excitement amongst your audience, and ensure that future events will be even more successful after word has got out. The more people who start using your event wristbands, the more awareness will grow as people get curious about what you're offering. Whether you've got an important business conference or a music festival coming up, our cost-effective products are the perfect solution when it comes to promoting it. It's not just about awareness though. 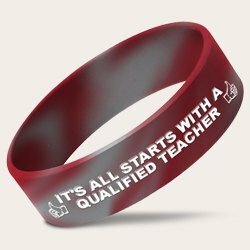 Our rubber wristbands for events also help from an organizational standpoint, and can be given to attendees as a form of admission. This makes it easy to see who should be there and who shouldn't, to prevent any headaches on the day itself. When you’re shopping for event wristbands, custom designs are by far the most effective option. Here at Amazing Wristbands, we'll personalize your products down to the smallest detail, so whatever preferences you have can be catered for. Just get in touch today, and our expert staff will be happy to guide you through the process and ensure that your event is a big success!